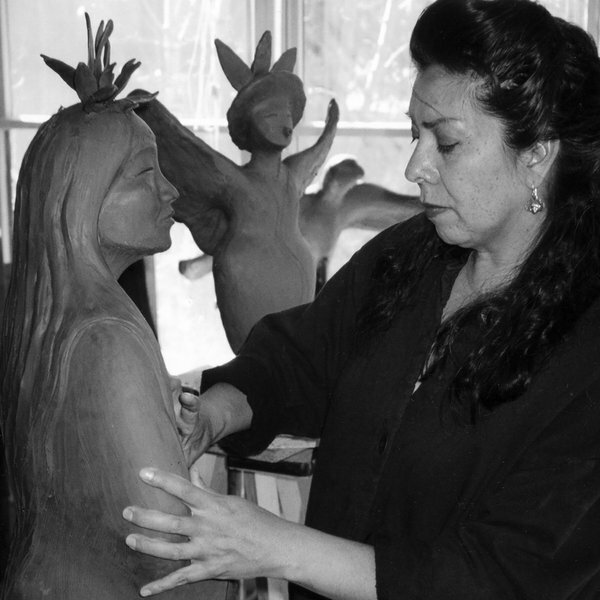 Stella Teller, a Southern Tiwa from Isleta Pueblo, was awarded the three-month Eric and Barbara Dobkin Native American Artist Fellowship in March 2001. 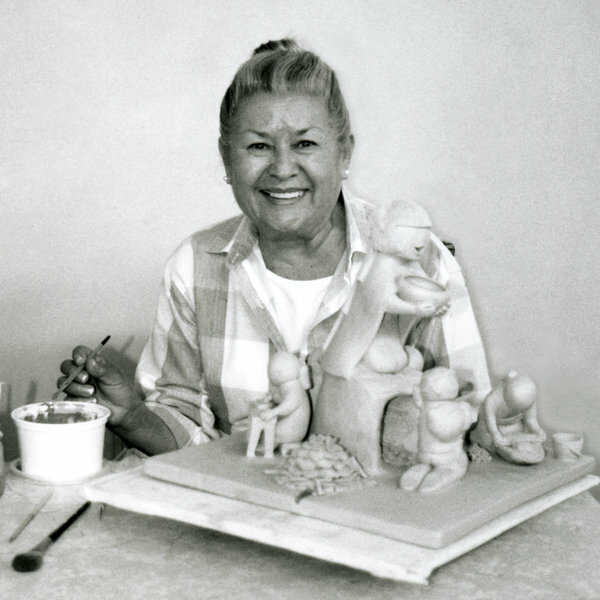 Stella works with graceful ceramic male and female storytellers, whimsical story bears, and other animals in muted hues of gray-blue, white, and burnt sienna. 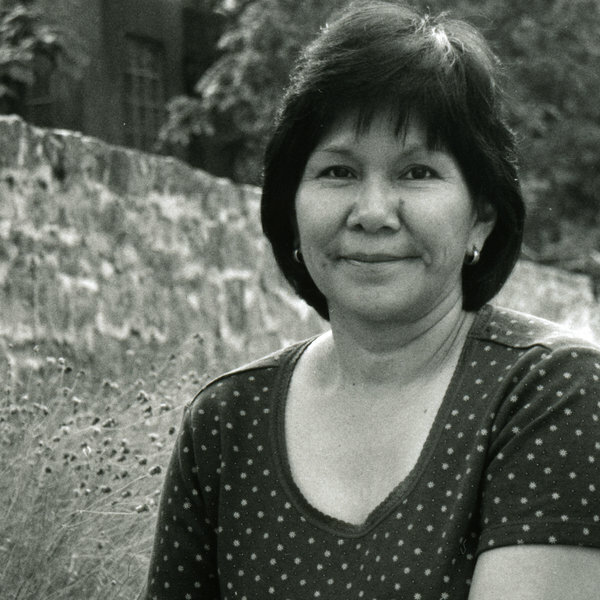 Estella Loretto’s passion for life originated at home in Jemez Pueblo where her grandmother and mother were important role models, both participating in the gentle yet demanding tasks of raising a young girl to womanhood.